Very good point! Thank you so much for pointing this out. I hate when the Chargers wear white at home and now the Rams did the same this season. There's a couple points here that are missed. 1. This year thus far has been an exception but there's usually a one to two week span in October to November when the Santa Ana winds blow like hell and it can get up to 100-110 degrees. See: 2017 World Series Games 1 and 2. 2. College football has much more freedom when scheduling game times. For the most part the Rams/Chargers are stuck with 1:30 PM. 3. Having an enclosed stadium can help mitigate the impacts of the somewhat frequent smoke from wildfires in the area, which is the current case throughout the state. 4. The standards for college and pro games when it comes to fan experience, player comfort, etc. are not at all comparable. Who cares? Let them sweat. Saints and Vikings are scheduled to wear normal color uniforms. (Saints have veered off schedule all season though so who knows). 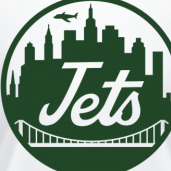 Jets are wearing color at home. Cowboys, Bucs, and Bills are white at home. I can’t speak to No. 1 because I haven’t been here for that, but 3. If the air quality was truly that bad, they’d cancel an indoor game, too. A number of basketball games across the state have been cancelled because of the fires. Though it should be noted the Woolsey Fire had no impact whatsoever on air quality in Inglewood. And 4. Honestly, college is much better when it comes to fan experience and the atmosphere of games. Having an indoor stadium is all about the ability to make money, as was pointed out earlier with the opportunity to host events like the Final Four, as well as having air conditioning for the rich people in suits who will treat the game like a business event rather than a sporting event. And there is much rejoicing. YAAY! Whooaaa this was misleading. 2 of them are the same team which is why I couldn't figure it out. Vikings are scheduled to wear normal color uniforms. 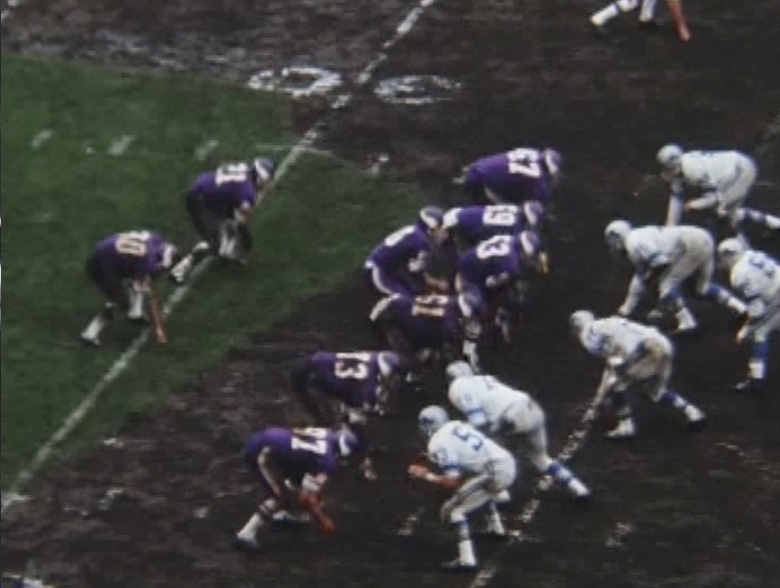 I had forgotten that my buddy's neighbor here in SoCal is an elder Vikings fans so I asked him about this after I had posted my inquiry on here after seeing the above 1964 Vikings monochrome-purple Poloroid photo. 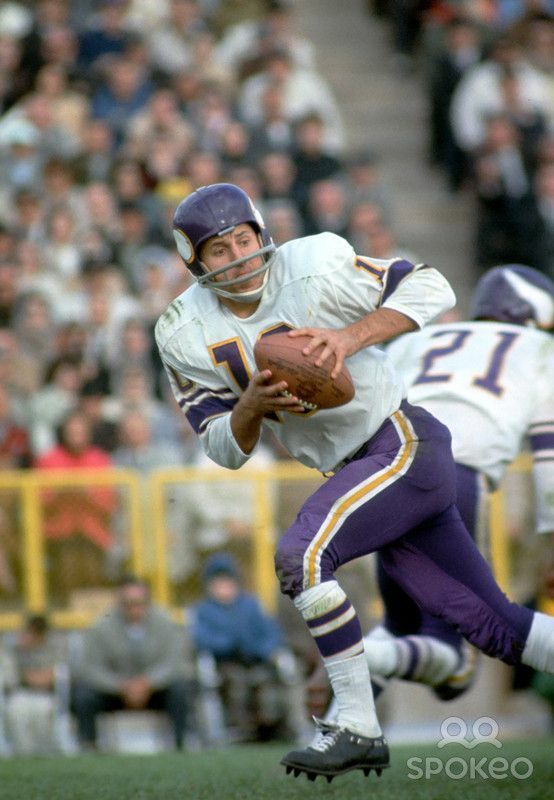 In 1964 the Vikings decided to wear white jerseys over purple pants for every home game, not just one. When the Lions came to Bloomington-MN (location of their old home stadium for those unaware) it was their 3rd or 4th home game and the Lions brought their usual roadies, white jerseys / silver pants and played dumb about it, so someone in their organization messed up because it wasn't the Vikes home opener or first home game that they wore white jerseys at home that season. 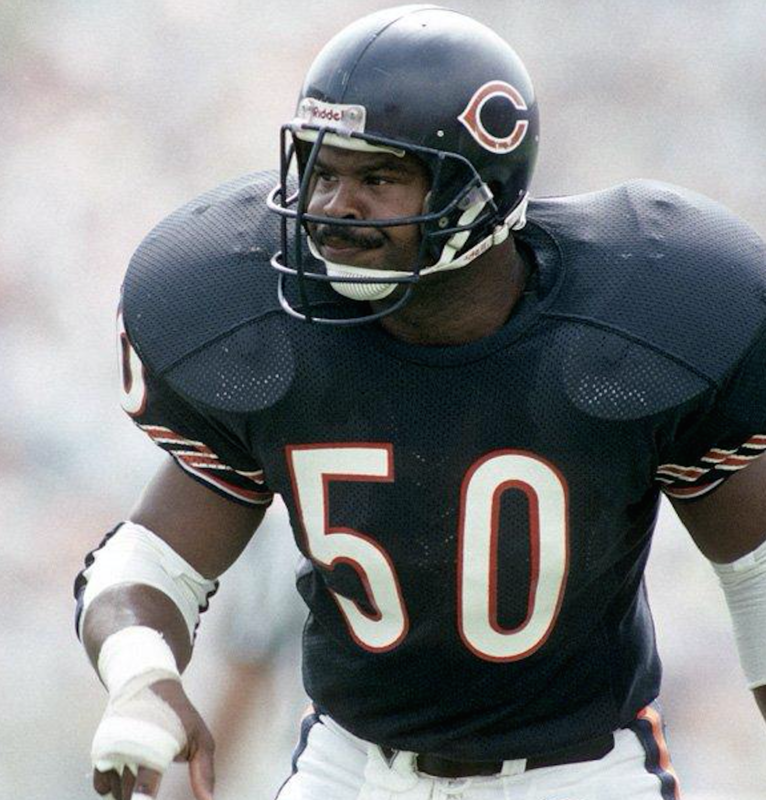 The prior opponents did bring their home colored-jersey uniforms to Minnesota. 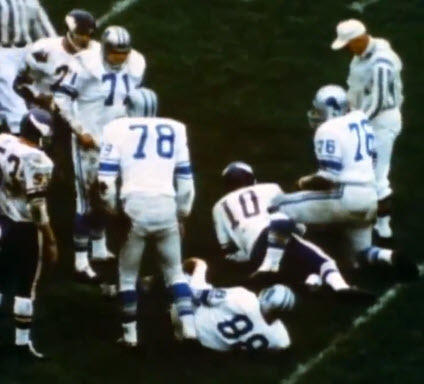 So in the 1st qtr both teams were in white jerseys, the Lions in their silver pants and Vikes in purple pants. 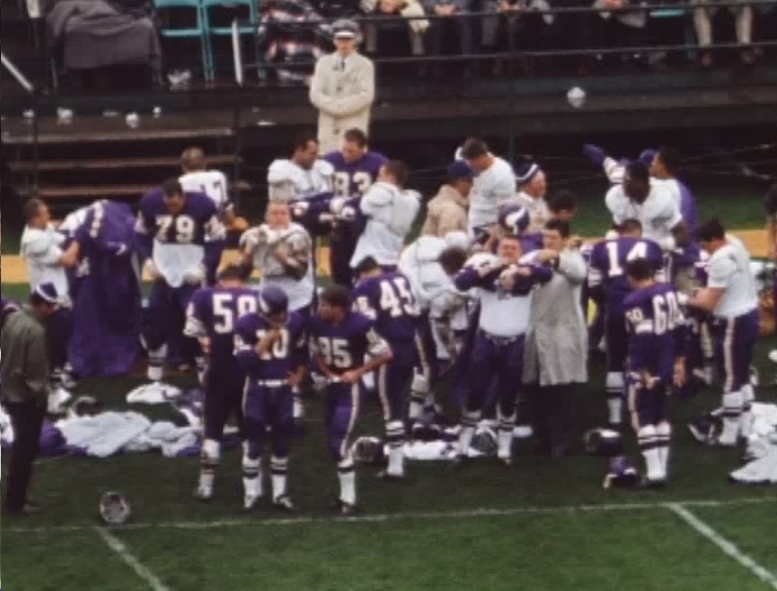 As stated, everyone was having trouble seeing who was who so by the time the Viking equipment mgr's got the purple jerseys over to Metropolitan Stadium and to the Minnesota players it was around the start of the 2nd qtr and the Minnesota players then swapped jerseys just as stated, and left the purple pants on. 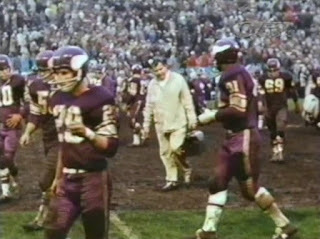 They continued to wear white over purple for the remainder of the '64 season at home games but the purple pants were abandoned by the start of the 1965 regular season. He never mentioned anything about Norm Van Brocklin hating them, but I'd assume it took the monochrome look to make him realize it, so that's also interesting to know. Fourth and final photo obviously taken after the jersey swap. They've always been navy. Granted, somebody beat me to the punch, but it's always been navy. Halas wanted to honor his Alma mater U of I, after all. They wore them in 2016 so probably. And yes, this is shaping up to be another weekend with some unwatchable games. I thought the rule was you could wear alternate or color rush collectively up to 3 times, but several teams seem to have broken that rule already. 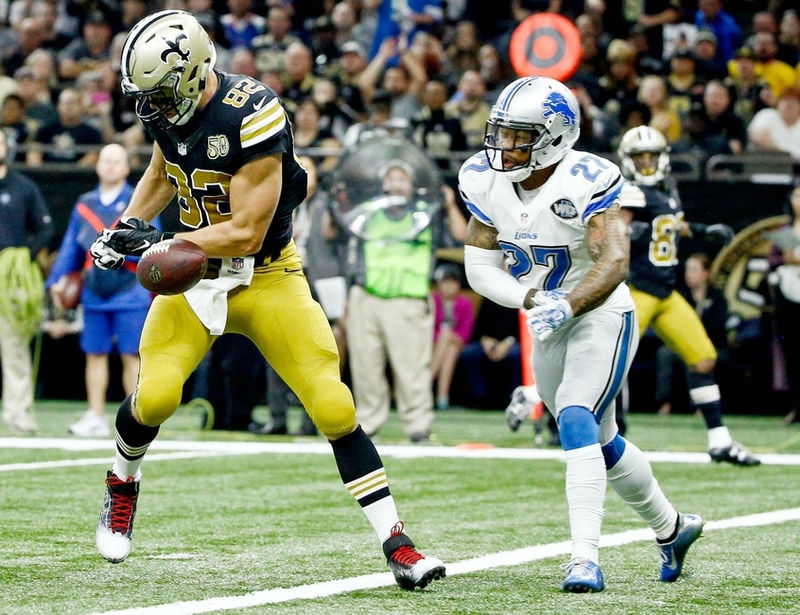 If the Saints do in fact wear these black jersey throwbacks, then yes, they were kept in mothballs since 2016. Yet, if they do wear them my only issue is . . . WHY OH WHY couldn't they have worn those socks with the white on white edition? It would have looked incredible!! The Saints are having a poll on instagram for what uniform to wear on thanksgiving. Black on black or Black on Gold. They have never worn all purple under Zimmer so that's a good sign. With this set when they wore them against GB in 2013, Leslie Frazier was the coach. That reminds me of the story of the previous set that was meant to be white over purple on the road like they do currently but in 7 years of that set they usually wore all white, and only wore purple pants a few times (preseason and 2 regular season games in 06, Preseason and 1 mono-Purple game in 07) because Brad Childress hated the purple pants. They weren't seen again until 2010 when the team was on the verge of mutiny against him and decide to wear them for back to back games on purpose (once with each jersey) because they knew he hated them. 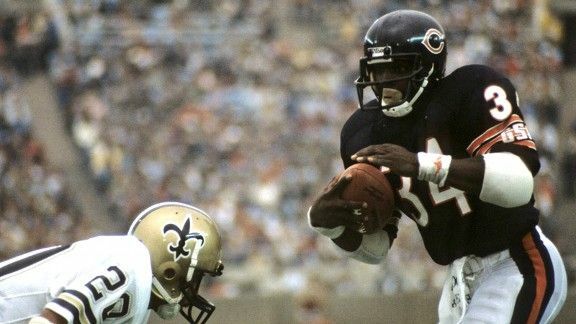 I've always associated the Bears with black and a bit of orange.